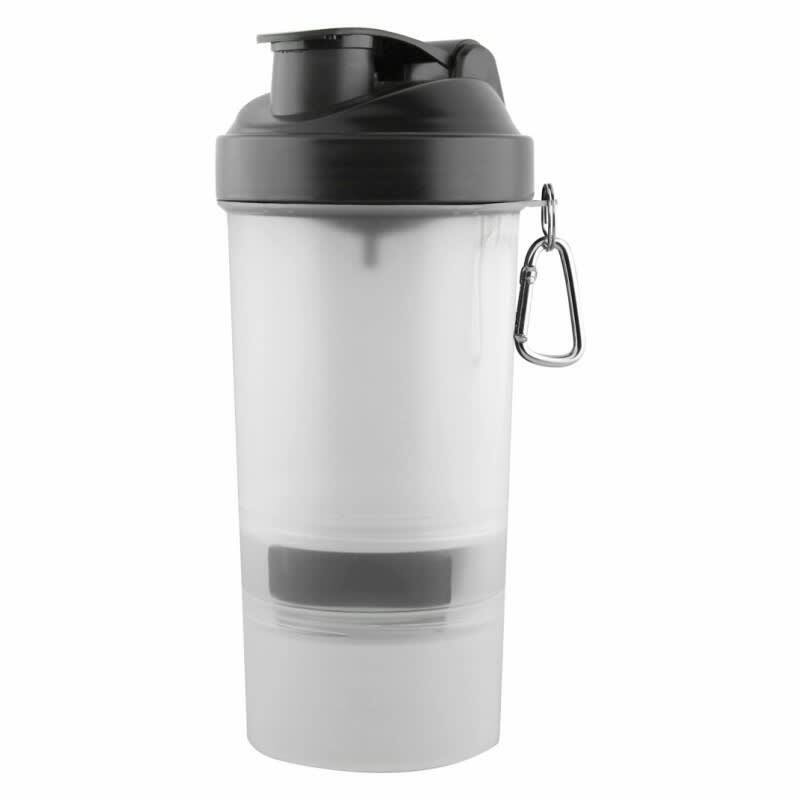 The Sassy 3 in 1 Shaker Cup lives up to its name. 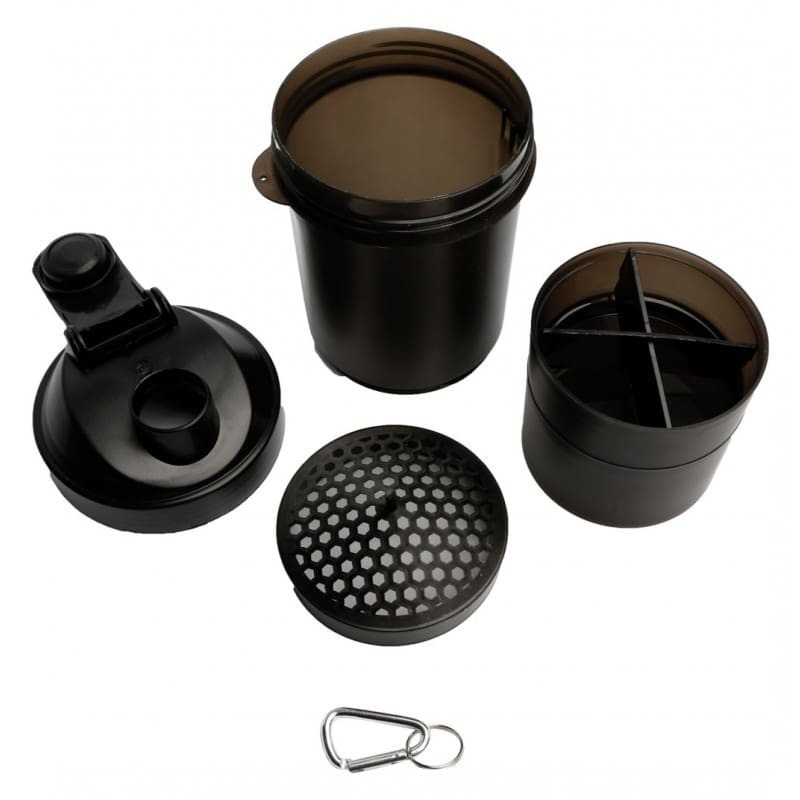 This indispensable shaker cup features 3 compartments — bottom for powder, the middle for supplements, and a large upper area for shaking/mixing. Indeed the complete package! 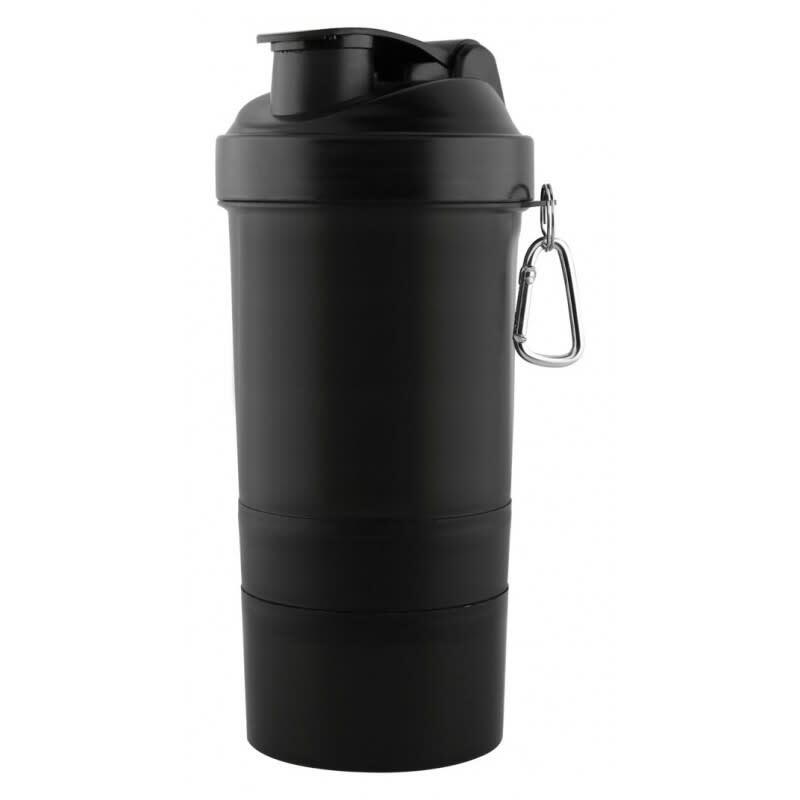 The Sassy is made of PP & PE Plastic, has a 400ml capacity, and includes a carabiner key chain and blender screen to help mix powders faster.